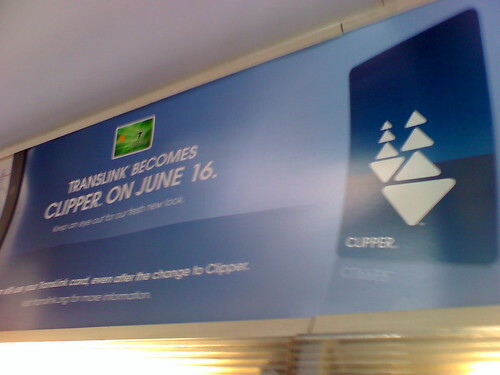 Heads up: Translink is changing its name to Clipper today. SF Appeal and Akit have more deets. If you don’t have the card yet, check out these times and locations to get a free card. If you already have a TransLink card, you’re all set — your card should still work, says SFMTA. You can still add value to your TransLink card all the same. More questions? Here’s the Clipper FAQ page. Have you had any trouble using your TransLink card since the transition? Comment away, please. I think it still sounds like a salon discount card. Same flakey technology, now with blue! Do you mean any more trouble than I had when the sticker was green? No. I’ve been using TransLink full time for a few months. I ride at least twice/day and I’m unable to “tag” a couple of times/week because of out-of-service terminals. Never mind the cost of the system, I wonder how much this update has already cost in lost fares.